PlayStation 5 concept art video has been released and it has been getting a lot of attention lately. While the system looks pretty cool, it is safe to say that some of the features mentioned in the video are just not feasible. While I would love to see these features come to the upcoming console, I doubt that they will make to the console when it is released. Let’s break down the PlayStation 5 concept art video and take a closer look at the features that are mentioned here. Records and adapts gamers’ behavior to provide preferred controller settings, applies game options automatically, and installs necessary apps to enhance the gaming experience. This is something that could make it to the final version. Go entirely wireless with the ability to place the console anywhere. It works up to 4m from your TV without any loss in image quality. While this is a cool feature that people will appreciate it is not feasible as there will be input lag when working with wireless HDMI. This is not something new. We have seen devices that can do the same but it is not feasible when gaming. 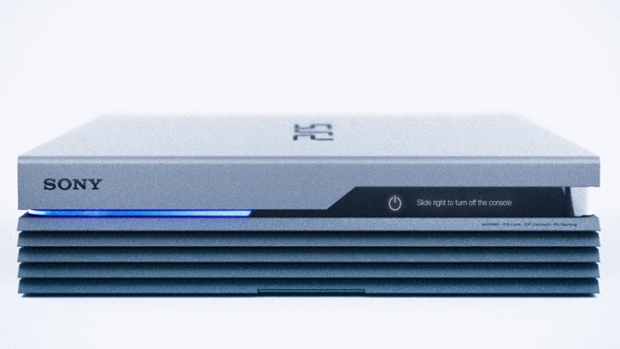 Like the PS4 Eco, the console consumes zero electricity in standby mode or when you navigate through menus, view photos, or an app thanks to the rechargeable battery integrated into the console. While this is a great feature in theory, doubt that the console will not use power when it is idle or when games are not being played. If it is on, some power is being used. An all-new PS5 controller sports a curved touchscreen that allows instant access to settings without changing the screen. Here users can also receive messages and invitations. A fingerprint scanner also allows you to save your progress and preferences. The controller design is similar to the Xbox One and I think that is not the direction that Sony would like to take. There is no doubt that the PlayStation 5 concept art video is pretty cool but some features are just not possible. At least not right now. It will be interesting to see what features the PlayStation 5 will offer. Sony To Support Cross-Platform Play, Maybe?